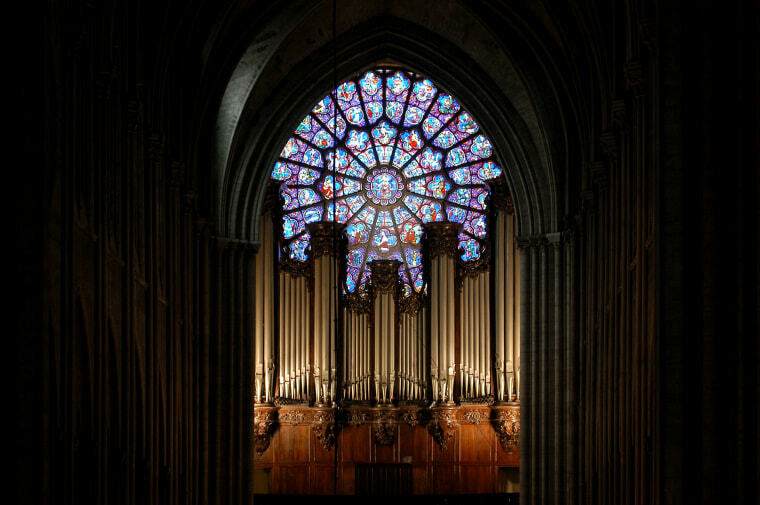 A look back at the cathedral that's towered over Paris for more than 800 years. 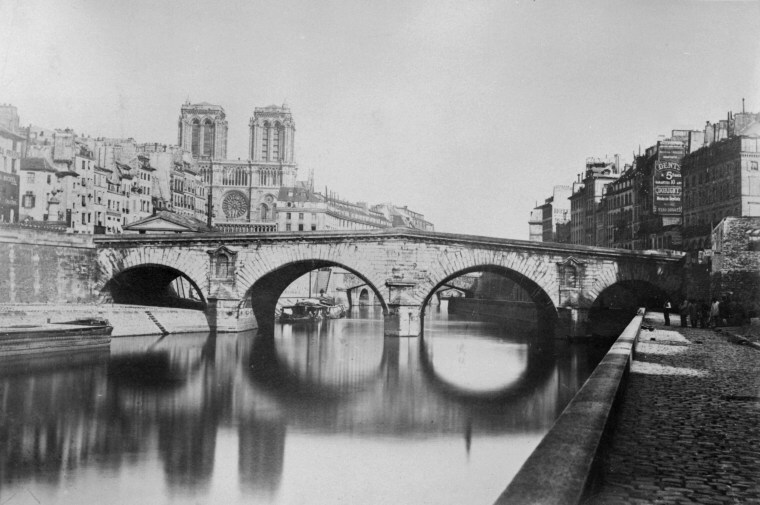 The Saint-Michele Bridge near the Notre Dame Cathedral in 1857. 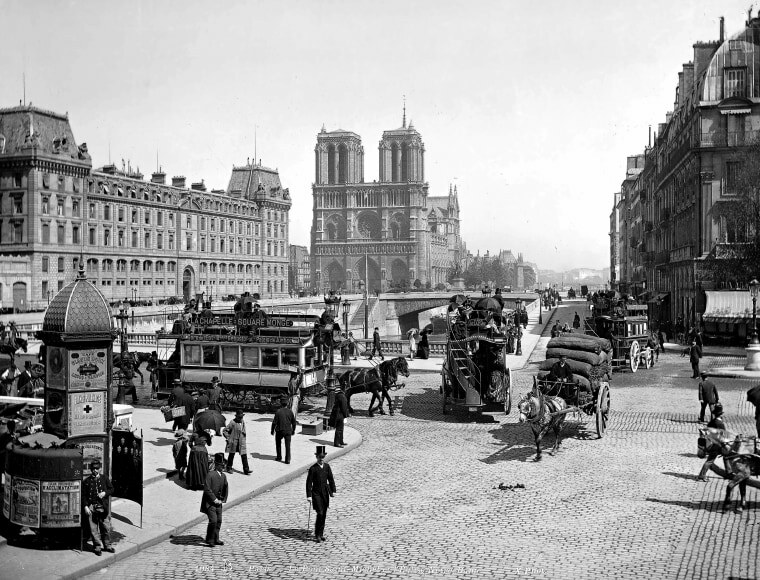 Notre Dame and the Saint Michel bridge c. 1900. 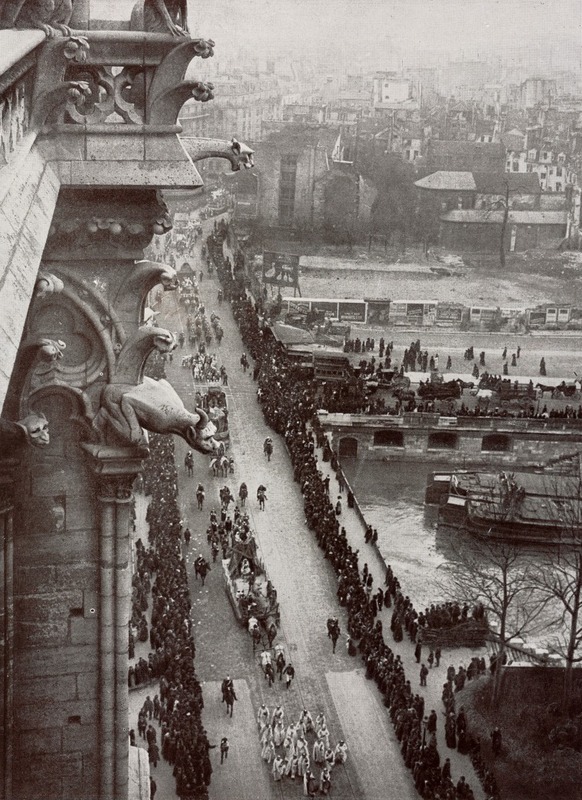 Gargoyles look down on a carnival parade on March 12, 1910. 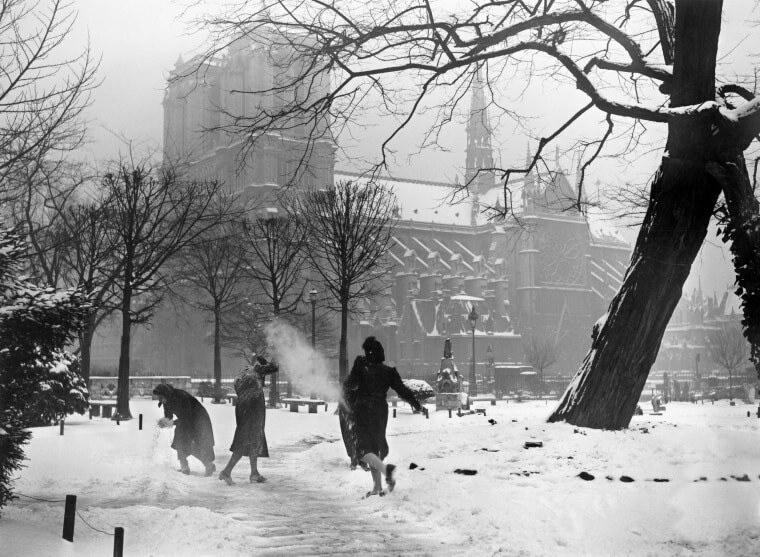 Women play in the snow outside Notre Dame on Dec. 21, 1938. 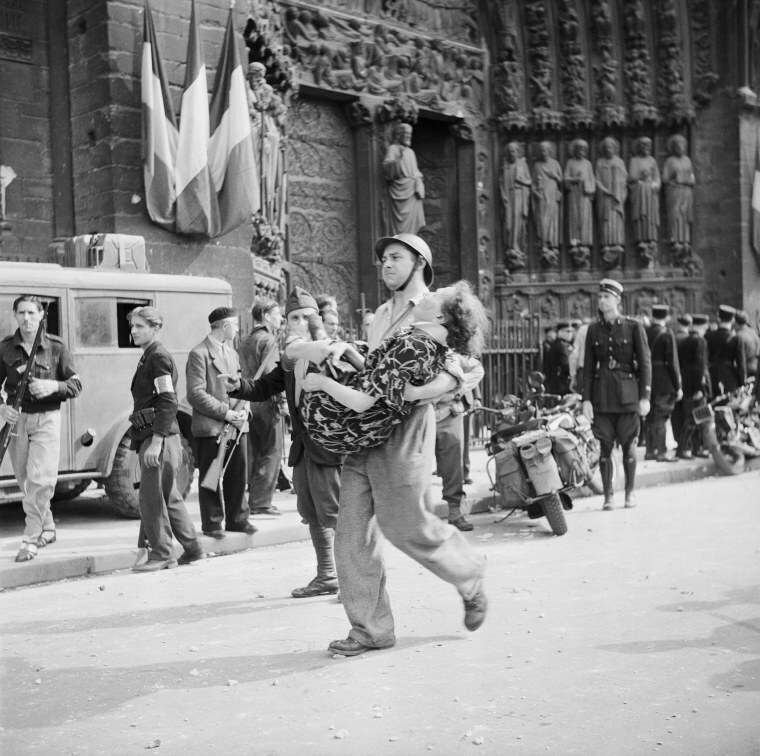 A French soldier carries a woman wounded by pro-Nazi police during services at Notre Dame in 1944. 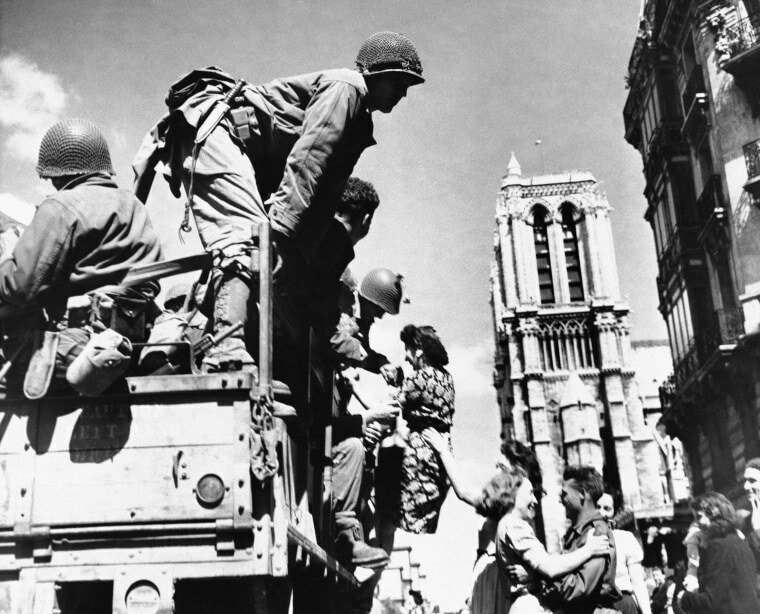 French women greet U.S. soldiers outside Notre Dame on Aug. 28, 1944. 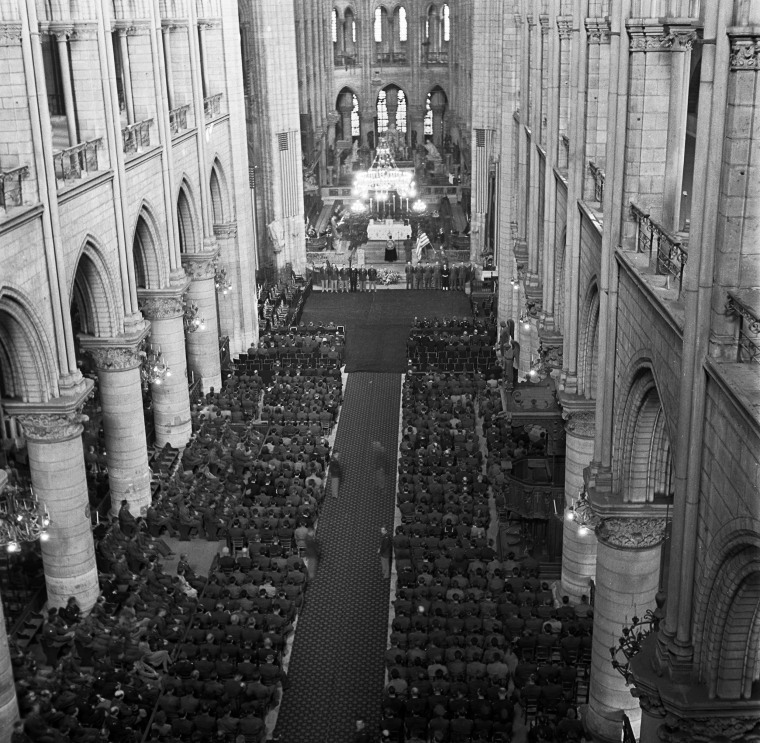 U.S. soldiers fill the pews of Notre Dame during a memorial service for President Franklin Roosevelt on April 16, 1945. 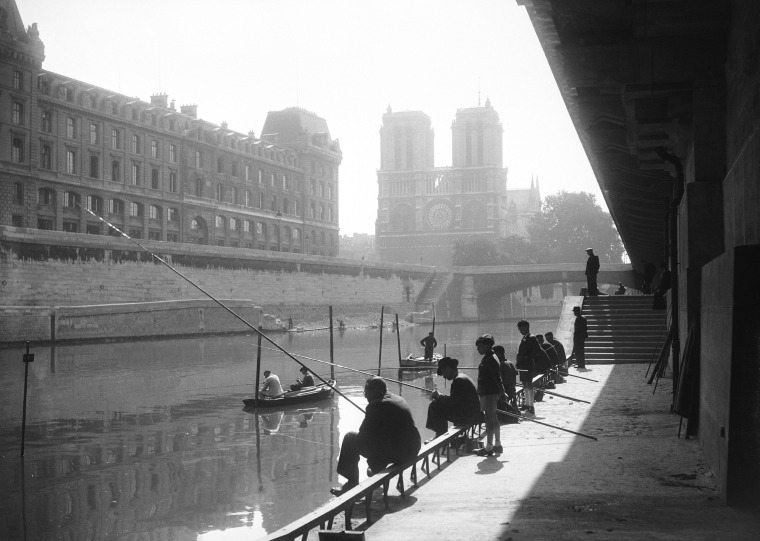 After the liberation of Paris, Parisians fish at the Saint-Michel Quay near Notre Dame on Sept. 27, 1944. 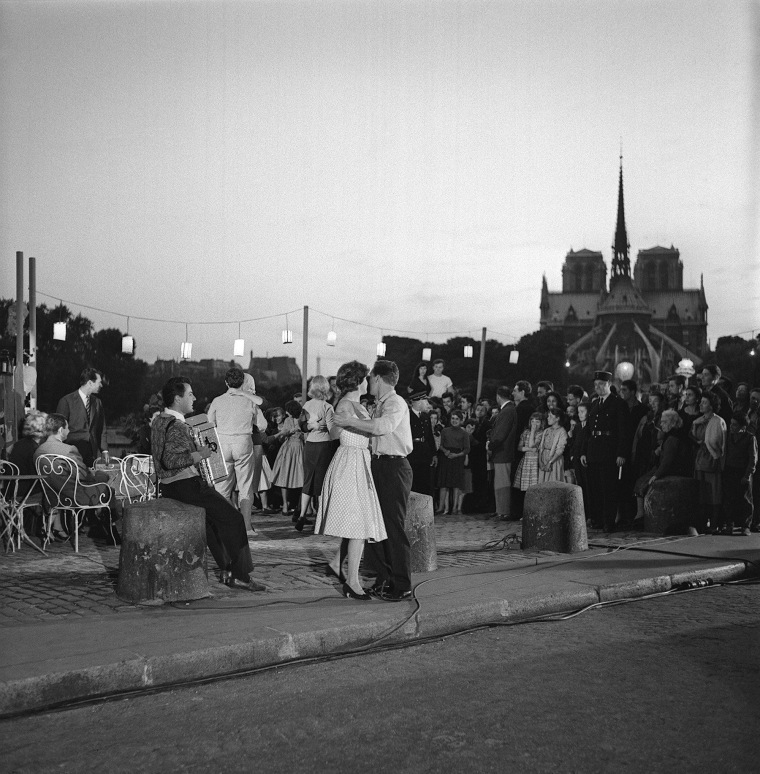 A couple dances on Ile Saint Louis near the cathedral in 1958. 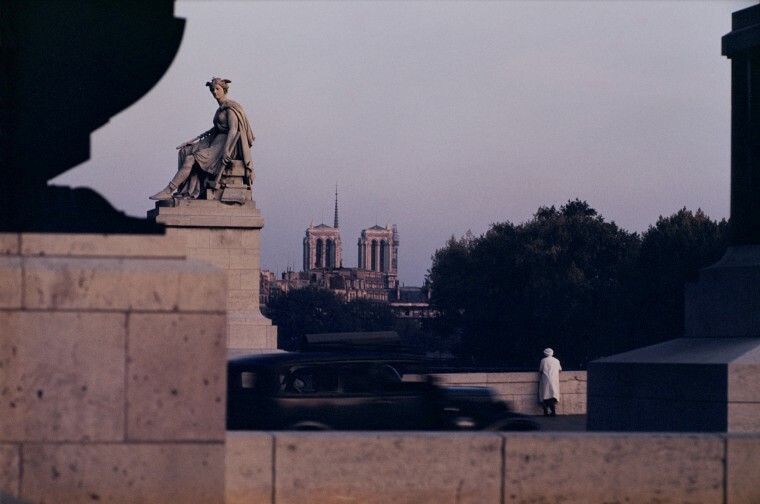 A woman looks over the Pont du Carousel near Notre Dame in 1954. 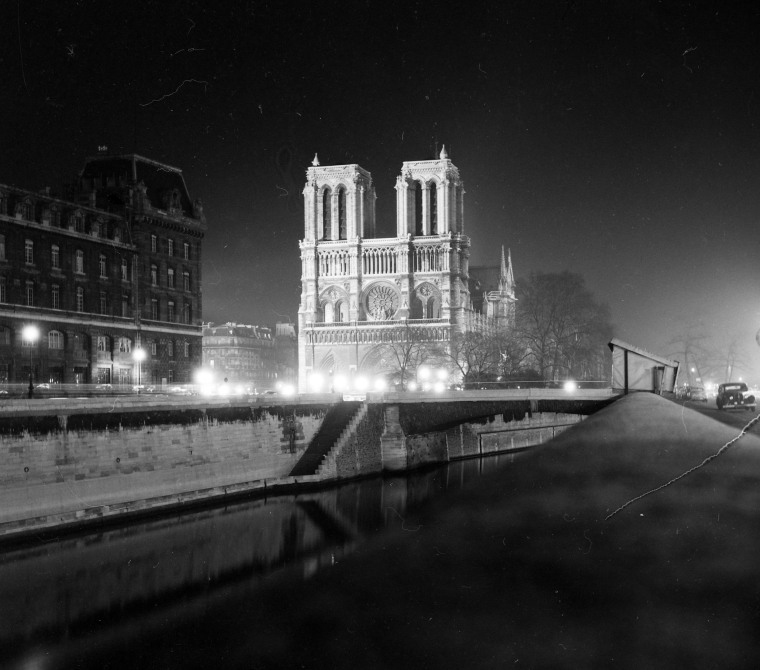 Notre Dame at night in 1959. 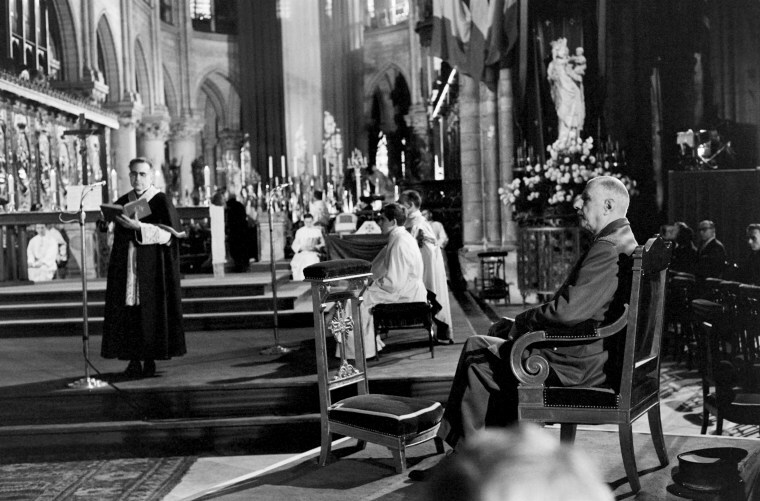 French President Charles de Gaulle attends a mass for concentration camp victims at the cathedral in 1965. 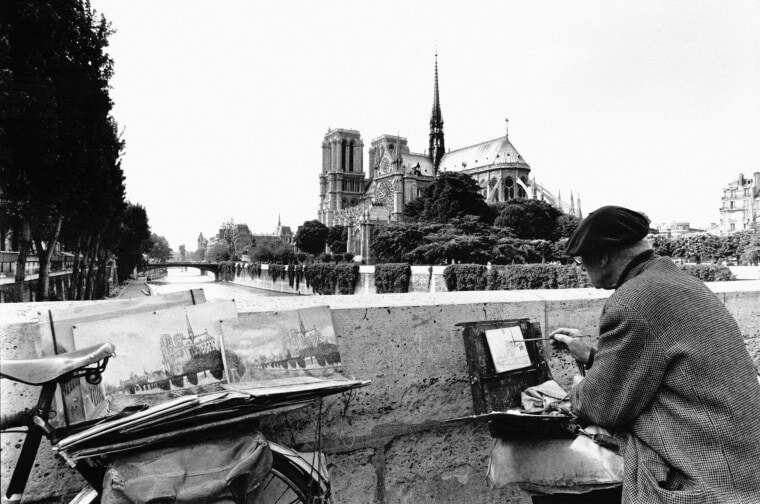 A man paints the cathedral from a nearby bridge. People watch as Philippe Petit walks a tightrope 225 feet above the ground between the two towers of the cathedral on June 26, 1971. 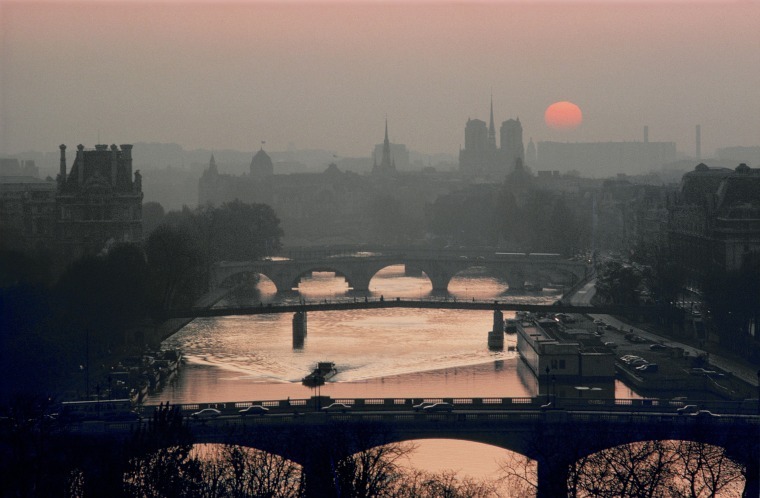 The sun sets behind Notre Dame. 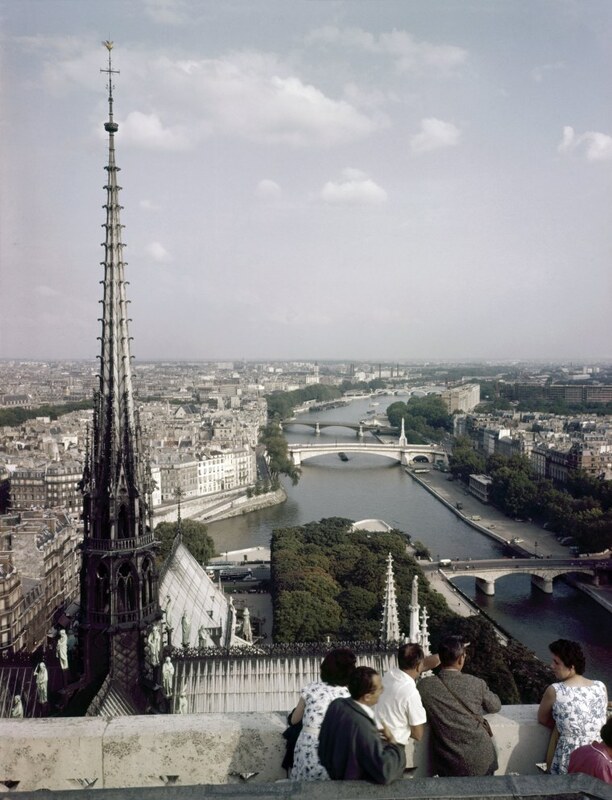 Visitors enjoy the view from the top of the cathedral. 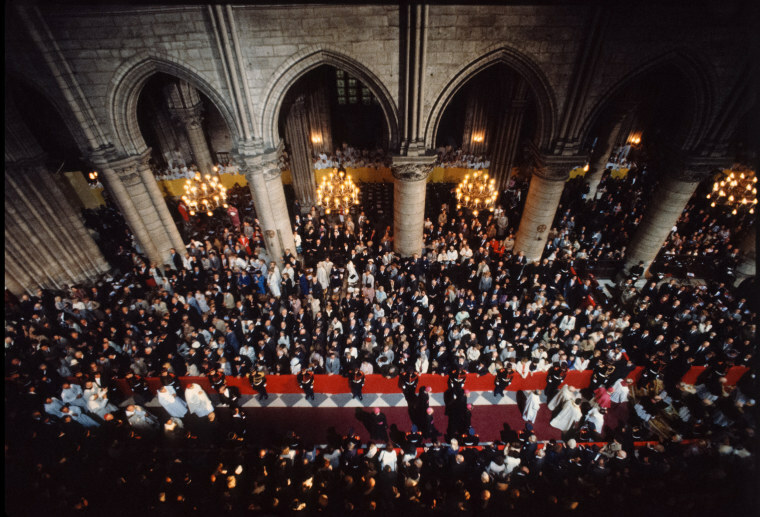 Pope John Paul II waves to the crowd as he walks through Notre Dame in 1980. 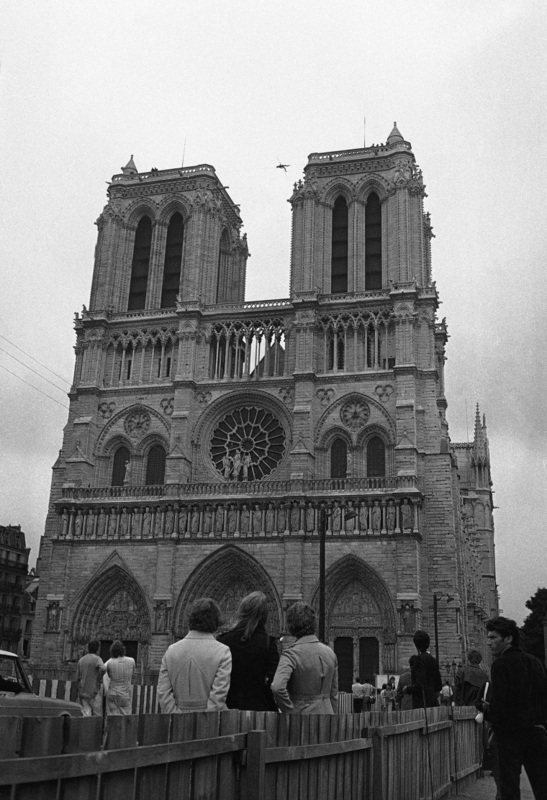 A couple kisses near Notre Dame c. 1980. The organ at Notre Dame in 2004. The famed organ dates back to the 18th century and has 8,000 pipes.